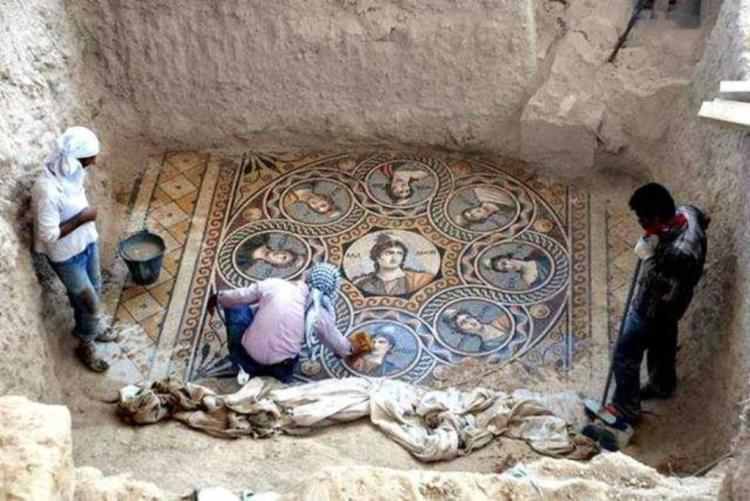 Three stunning 2nd century BC Greek mosaics have been unearthed during the Muzalar House excavations in the ancient city of Zeugma in Turkey’s southern province of Gaziantep. 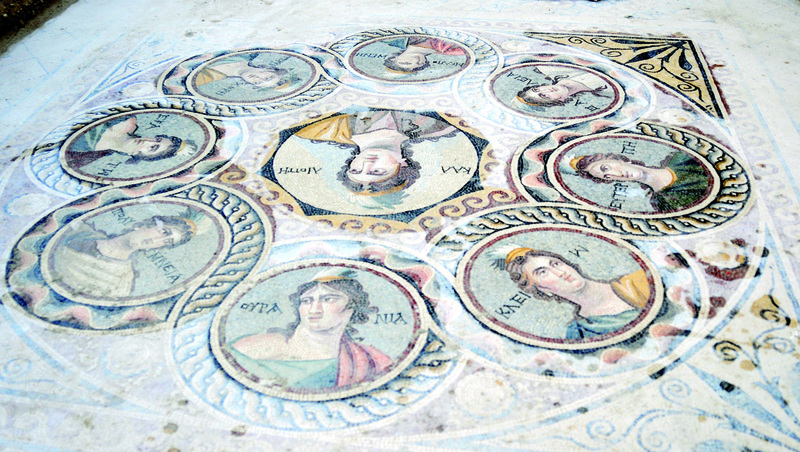 The uncovered mosaics were displayed at a press conference attended by Gaziantep Mayor Fatma Şahin and the head of the excavations, Professor Kutalmış Görkay. “There are still unexcavated areas. There are rock-carved houses here. We have reached one of these houses and the house includes six spaces. 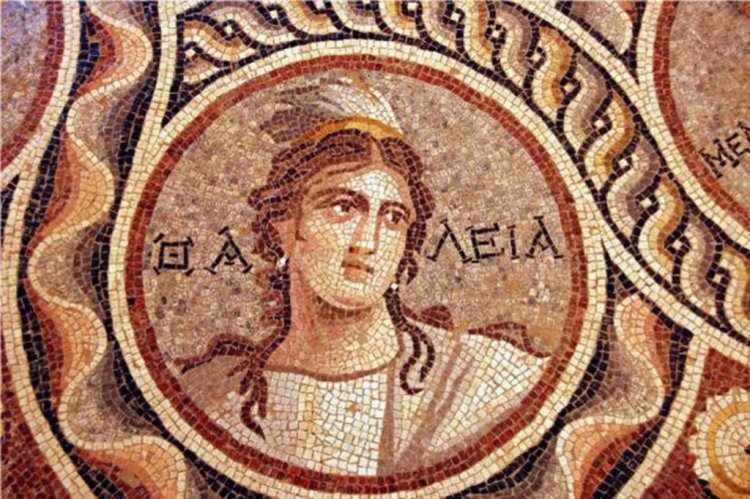 We have also unearthed three new mosaics in this year’s excavations,” he said. Görkay added that with the end of the excavation season, the most important stage had now started. From now on, we will work on restoration and conservation. We plan to establish a temporary roof for long-term protection. We estimate that the ancient city has 2,000-3,000 houses. Twenty-five of them remain under water. 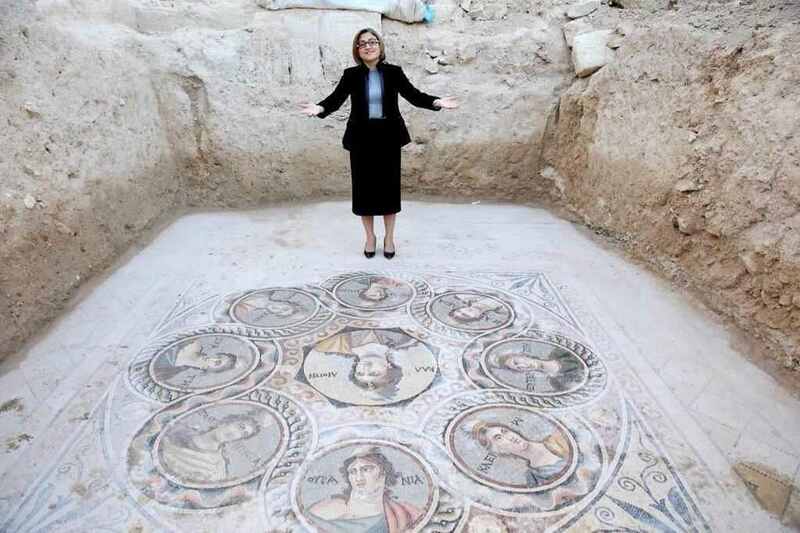 Excavations will be finished in the Muzalar House next year. Ocean and Tithys depicted on another house floor. 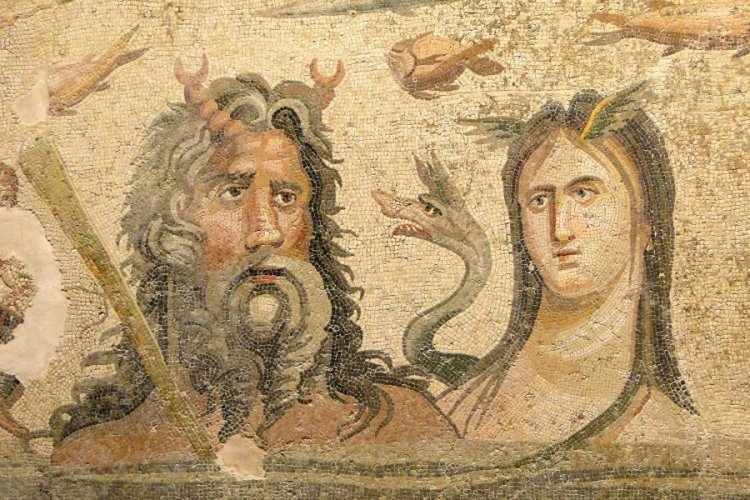 İş Bank’s Suat Sözen said his bank had provided the first support to uncovering Zeugma while it was still underwater in 2000. “We will continue to undertake this mission. After 2000, we became the sponsor for the work in the Muzalar House, and this contribution will continue until 2017,” Sözen said.